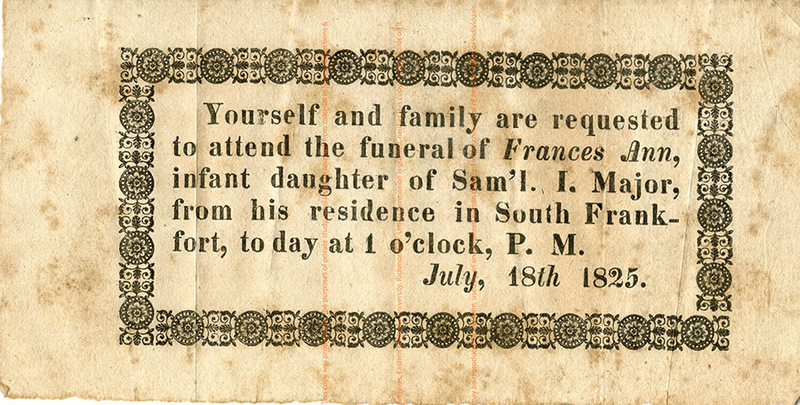 The Major Family was a prominent Frankfort, KY family in the mid-nineteenth century. The bulk of the material in this collection relates to Samuel Ire Monger Major II, mayor of Frankfort following the Civil War, a member of the Kentucky House of Representatives and owner of the Kentucky Yeoman. 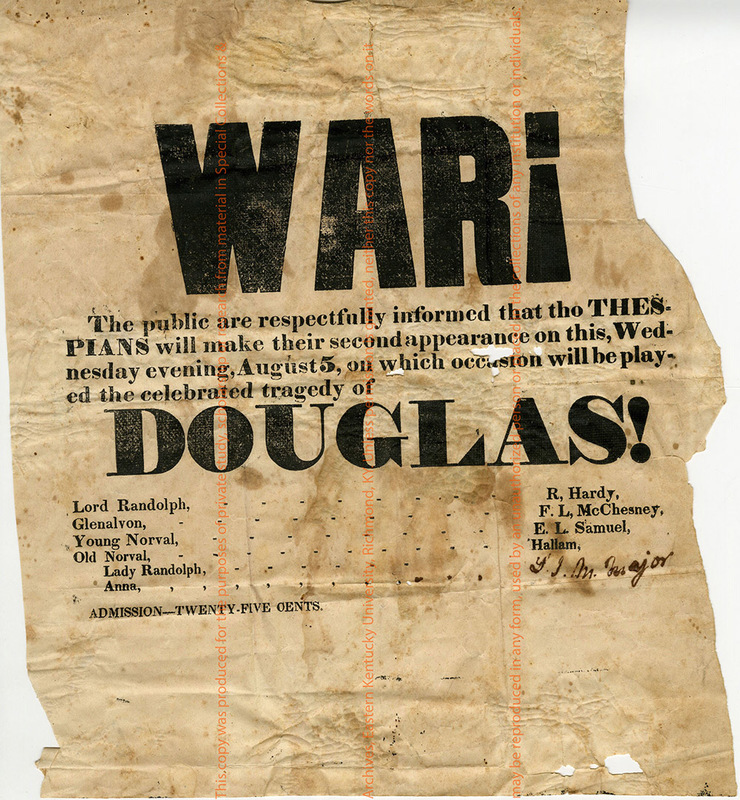 A number of documents also relate to his father, Samuel Ire Monger Major I, who was Clerk of the Penitentiary of Kentucky and noted civic leader in early Frankfort; his brother, Dr. Patrick Major, who was also his business partner and confidant whose correspondence reflects their close relationship; and his son, Patrick Upshaw Major, a well-known attorney and judge. 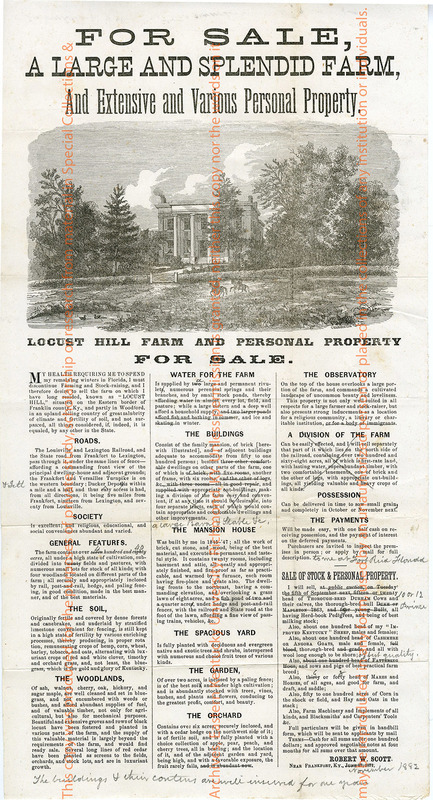 There is correspondence that relates to family and business matters, personal documents that range from poetry to journals, business and financial papers that concern a wide range of endeavors, land and legal documentation such as deeds and land grants for holdings in Kentucky and Virginia as well as other states, and political material that relates to campaigns and political beliefs.